Discover the real secret to losing weight fast and keeping it off! Have you been eating all the "right" healthy foods and just can't seem to lose the weight? Has your weight been a burden and constantly on your mind? You're not alone, and it's not your fault. Whether you know it or not, the odds are stacked against you. 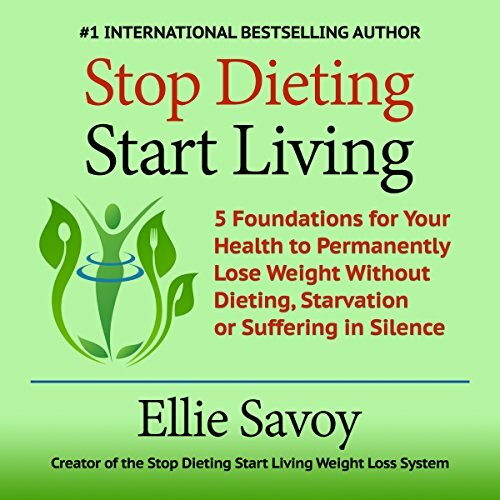 In this groundbreaking book, author Ellie Savoy explains the Powerful 5 P's for Permanent Weight Loss and finding freedom from food. Ellie takes your hand and leads you step by step through the same process that has helped her and many women around the country lose the weight for good and regain their health in as little as two weeks. This eye-opening book pinpoints the real reason diets don't work and why they actually contribute to your continued weight gain. By getting off the dieting roller coaster, you will finally be able to stack the odds in your favor, lose weight, and stay slim and healthy for life! If you follow this process, this can and will work for you, too! Lose the weight fast - and forever!